Wonderful Women by the Sea tells the story of two would-be starlets in an age of consumerism and glamorous one-night stands. They spend their days sunbathing on the beach and their evenings at cocktail parties, following the exploits of Jackie Kennedy and Elizabeth Taylor through the glossy pages of Life magazine. 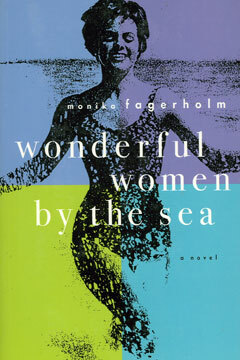 In language praised as “poignant” (Publishers Weekly) and “radiant” (New York Times Book Review), award-winning novelist Monika Fagerholm explores the world of Rosa and her friend Isabella. Though they seem to embody the American “good life,” dark undercurrents threaten to undermine the sanctity of their domestic oasis by the sea. As Tupperware parties give way to the women’s movement, Rosa and Isabella can’t avoid the social and political upheaval that explodes across the world in the turbulent summer of 1968. With an “ability to encompass complex emotions in one snapshot” (The Times, London), Wonderful Women by the Sea introduces a major new novelist to American readers, and a fresh perspective on an era we thought we knew.